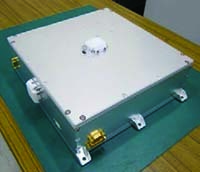 The IVA-replaceable Small Exposed Experiment Platform (i-SEEP) is a hardware adapter for Kibo’s Exposed Facility (EF), to which several units of exposed experimental hardware weighing up to 200 kg and measuring up to 50 x 70 × 35 cm in size can be attached. It is a new EF platform used as an interface between the EF and exposed payloads. Through Kibo’s airlock, it allows for more frequent installation and the return of the experimental devices. More details for the i-SEEP payload technical requirements are as following. Photographs of Earth will be taken using a commercial-off-the-shelf (COTS) camera for the purposes of public affairs, education, disaster observation, and demonstration of a COTS product. It is one of the two first payloads to be attached to i-SEEP. 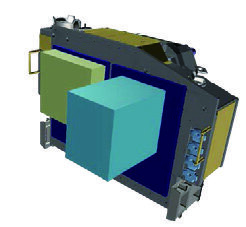 A demonstration of commercialized components to be loaded into small satellites will be performed to reduce the costs associated with satellite development. It will lead to market growth and strengthen the competitiveness of domestic parts manufacturers. 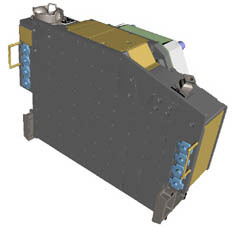 It is also one of the first payloads to be attached to i-SEEP.